Azlan's First Ever LEGO set. 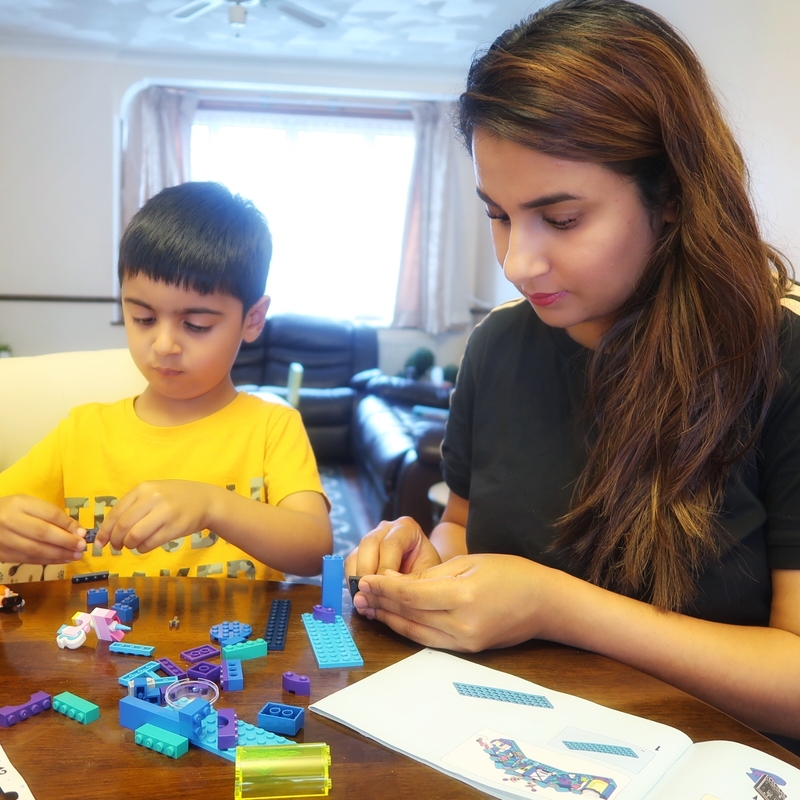 Over the past few years, Legos have always come up in conversations around birthdays, Christmas and Eid. But I have been quietly ignoring the small requests. Mainly, due to the fact, that I am always scared that they might end up ledged in his throat (like one of the scrabble pieces got stuck in Marcel the Monkeys throat in Friends), up until two days back. 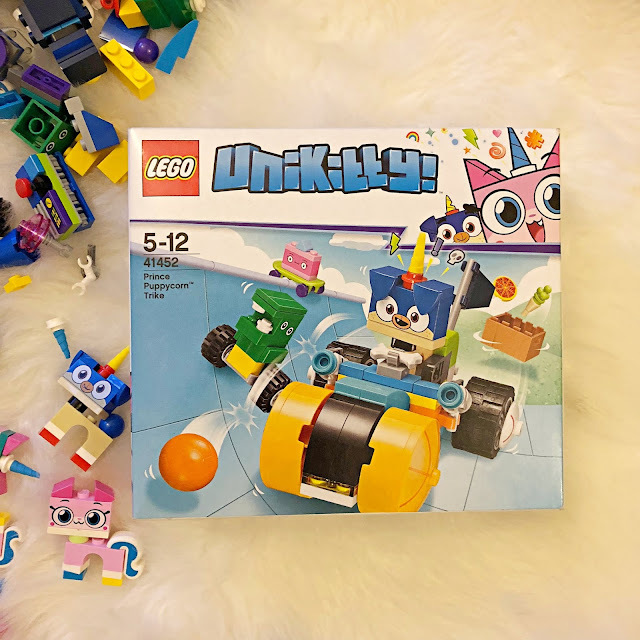 Tesco reached out and asked if we would like to review the Lego UniKitty sets, I took up on the offer and I now wonder why had I put it off for so long? Azlan was over the moon. He has been asking for his friends to come over so they can build up and destroy and then build up the sets again. Although these sets are aimed for kids aged 5 and above, he has caught on real quick and done a fabulous job building them. I am quite surprised with the creativity that Legos actually bring. He has taken a liking to Prince Puppycorn and the number of scenarios he creates while playing is absolutely amazing. It’s funny how we adults spend so much time TRYING to be creative and kids just come up with the randomest scenarios and play amongst themselves. I have got to be quite honest here. I haven’t been spending a lot of time with Azlan due to Ramadan and so much workload going on. But with these, I actually sat down with him for a good hour and quietly but happily built the entire set. We are also off for holidays next week so these sets will come in handy. 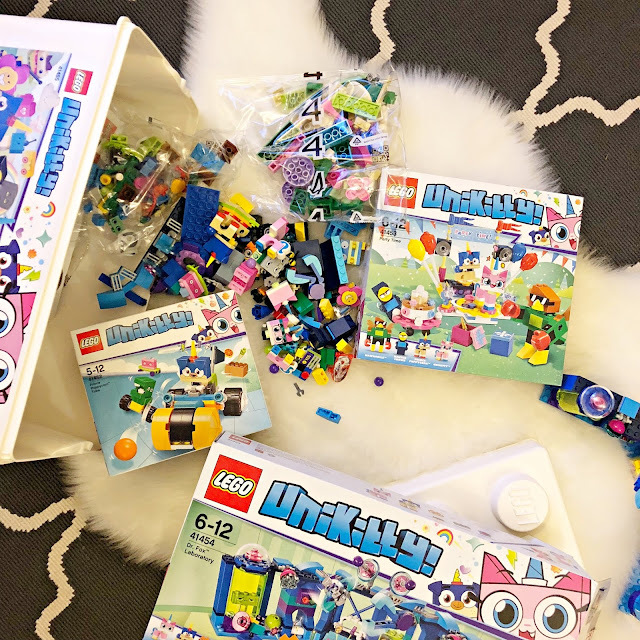 Just going to purchase the Lego storage bags and pull them open during long-haul flights and I can watch my movies in peace. Haha. We were sent four sets and we have managed to open two of them because I want him to take his sweet time in building them. The UniKitty range is exclusive to Tesco and is available in most stores nationwide.